One card for two challenges this time. Originally I thought I would get it done in time for the Merry Monday's challenge 145 which was to do a christmas card with candy canes. Oh well, maybe next time. I'm entering it in Kraftin' Kimmie's Wednesday Anything Goes challenge and Mojo Monday's sketch challenge. Super cute! I love the sketch!!! 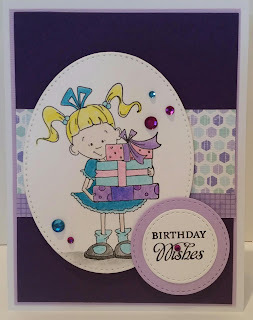 Thank you for playing along with us this week at Kraftin' Kimmie Stamps!